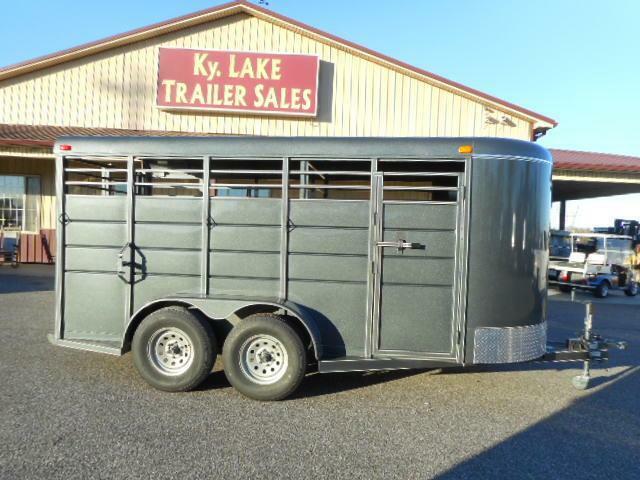 This 2019 Calico 16' bumper pull stock trailer is 6' wide and 6'6" tall and dark slate gray in color. 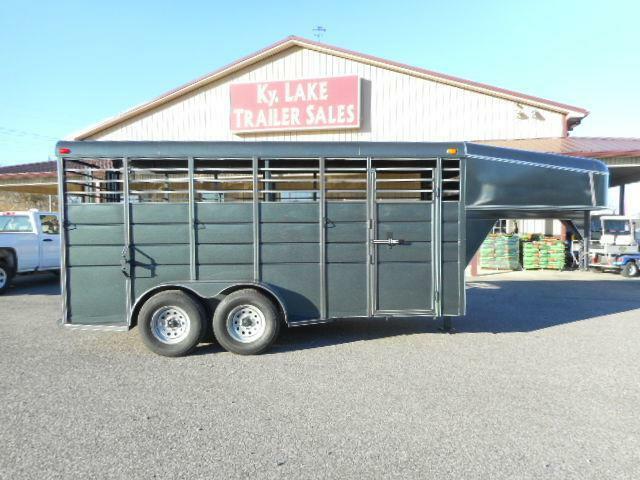 It has one cut gate, spare mount, and an escape door. 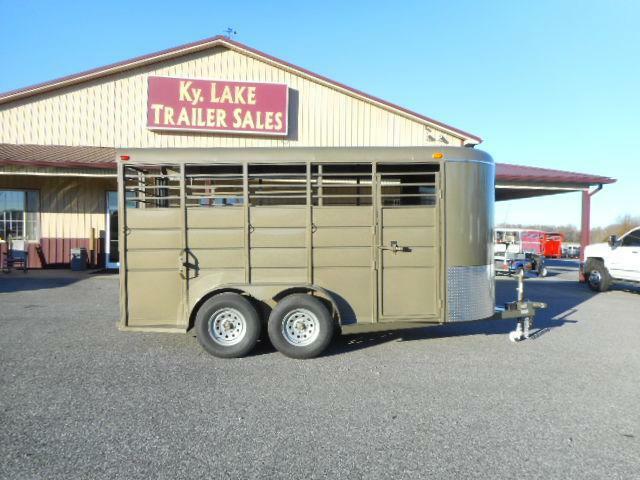 This 209 Calico 16' bumper pull trailer is 6' wide, 6'6" tall and arizona beige in color. 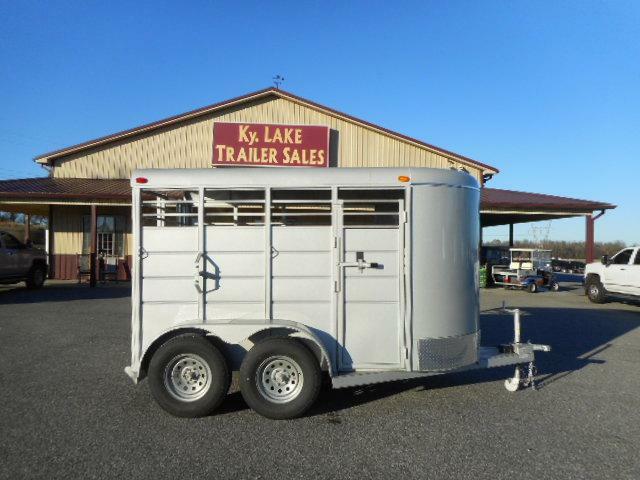 It has one cut gate, spare mount, and an escape door. 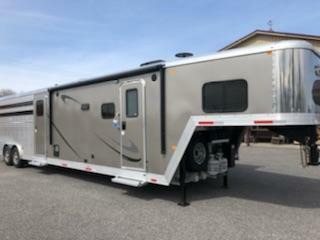 This 2019 Calico 16' Gooseneck stock trailer is 6' wide and 6'6" tall and is arizona beige in color with black stripes. 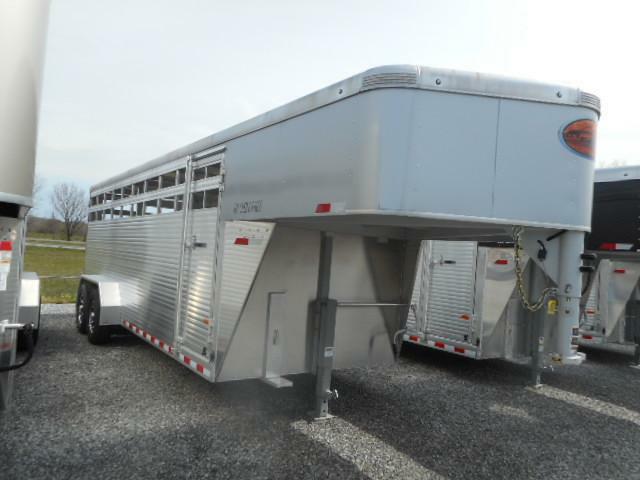 It has one cut gate and spare mount. 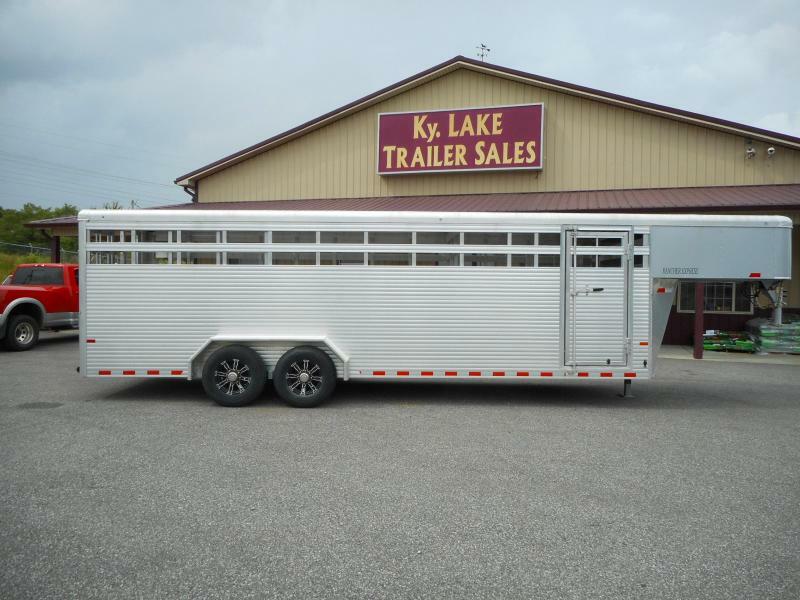 This 2019 Calico 12' bumper pull stock trailer is 6'wide and 6'6" tall and is brillant silver in color with black stripes. It has a spare mount and escape door. 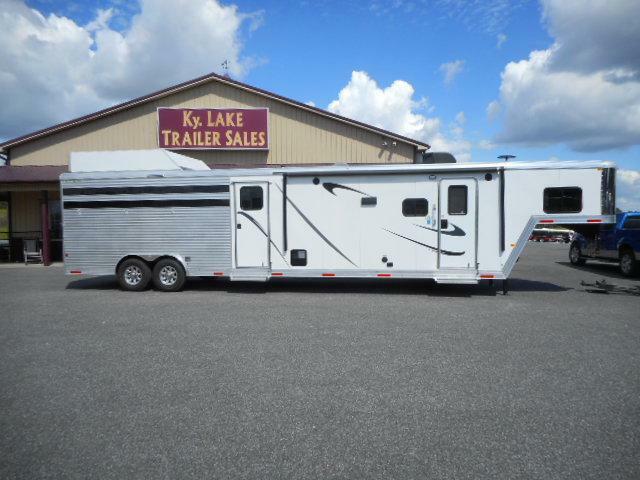 This 2019 Calico 16' gooseneck trailer is slate gray in color with white strips. 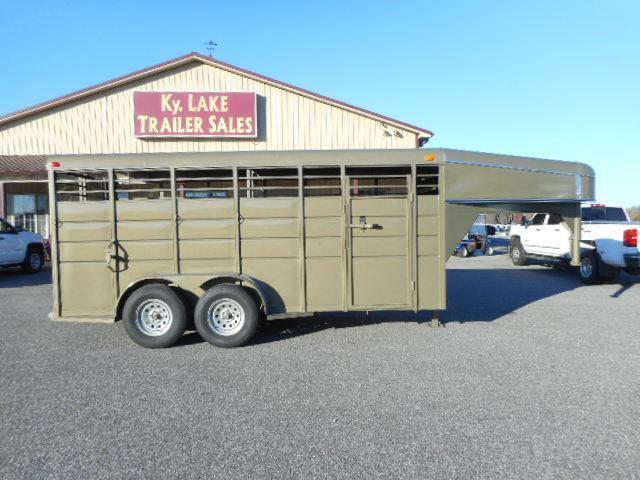 It is 16' long, 6'wide, and 7' tall with a one cut gate and wooden floor. 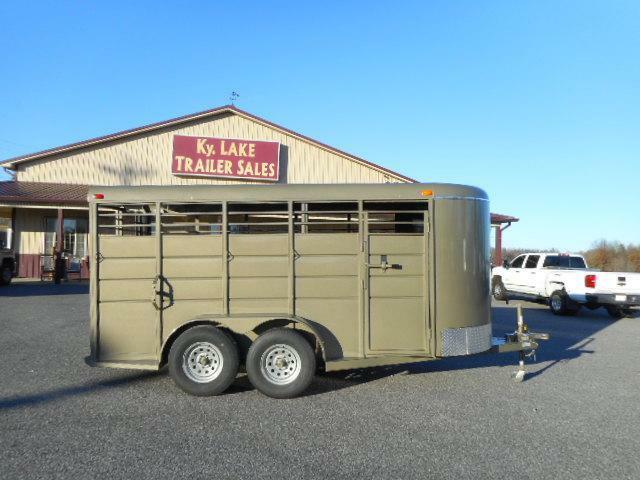 This 2019 Calico 16' stock trailer is 7' tall and arizona beige in color with black strips. 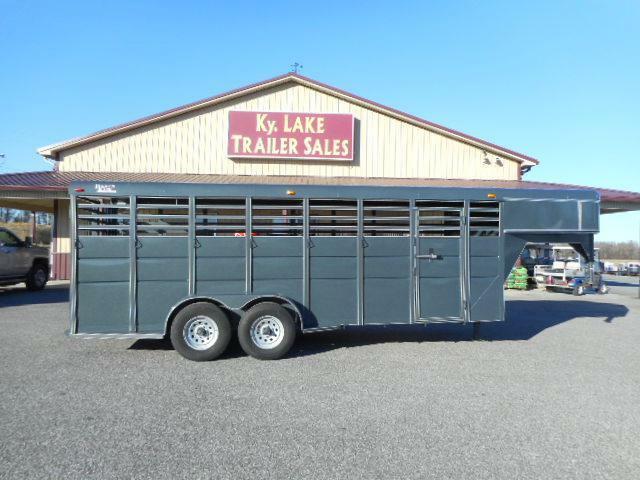 It has a one cut gate, wooden floor, spare mount, and half slide and full open rear gate. 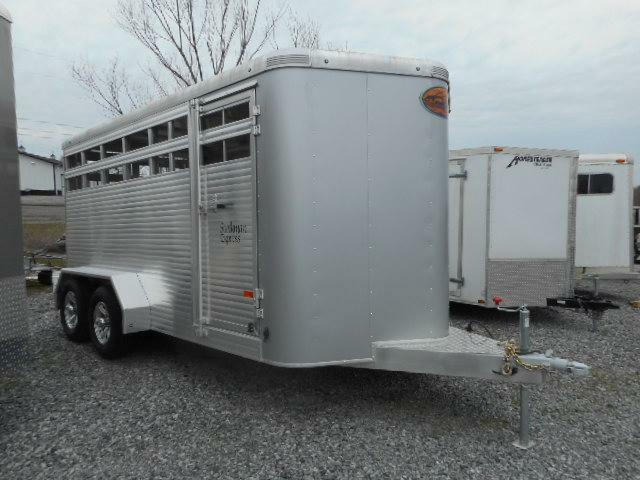 This 2001 Big Valley trailer is a gooseneck and white in color. More detailed description and pictures coming soon. 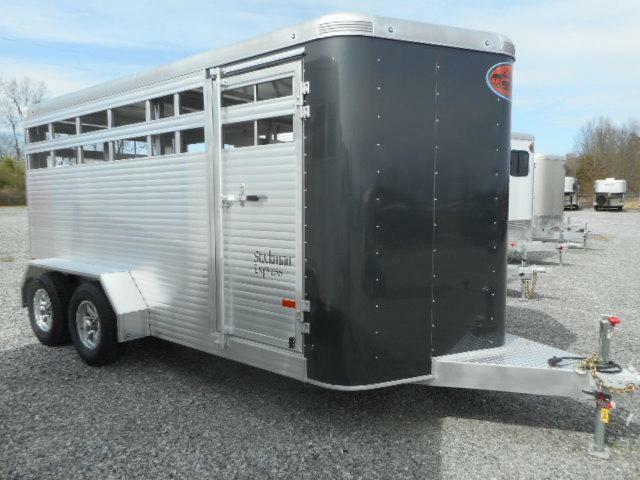 This 2018 Sundowner 16' BP Stockman Express is a BP trailer with charcoalsheets on the nose and 2 escape doors. 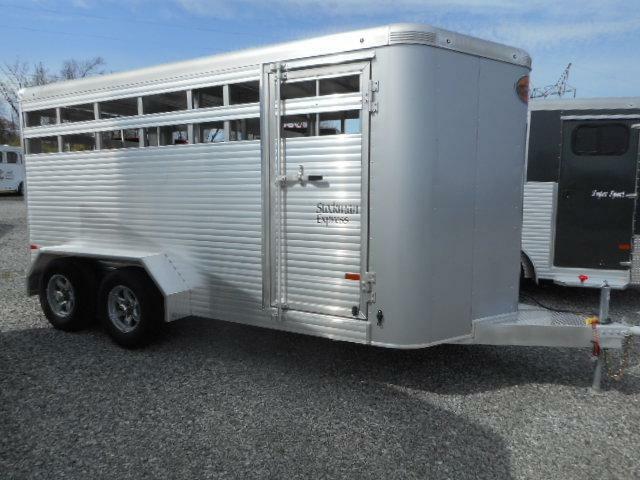 This 2019 Sundowner Rancher Express is a 24' GN trailer that is silver in color on the nose with extruded aluminum at the stall area and has 2 cut gates.